I came across this photo on facebook & I just had to share it with you! 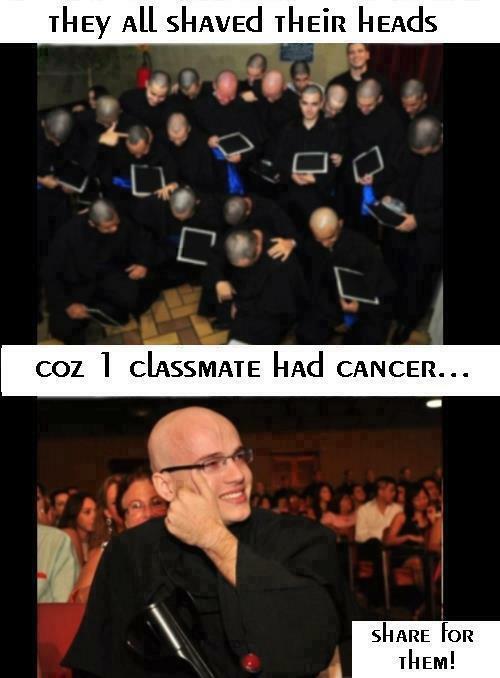 A whole class had their heads shaved bare because one of their classmates had cancer. Fight Cancer & Support the patients, not the other way round!